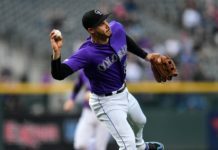 2016 was an up-and-down year for Colorado Rockies pitcher Chad Bettis. After having his best season, Bettis was diagnosed with testicular cancer this past November, but underwent successful surgery and is now cancer-free. Bettis joined Eric Goodman and Les Shapiro during The Afternoon Drive on Mile High Sports Radio to discuss his battle with cancer. Bettis’ doctor first noticed an abnormality in November, and he subsequently had surgery the next week. The 27-year-old is thankful his doctor was able to detect the problem before it was too late. “It was really frightening,” said Bettis. “It was very scary. It was nice to be able to detect it early and be able to have surgery right away and move forward through it”. In regards to preparation for next season, Bettis stated he feels great, and is fully cleared headed into spring training in a few weeks. “I actually threw bullpen Friday this last week, a 25-pitch bullpen,” he said. “Everything is feeling good, and I have no restrictions or anything like that, so we are gonna move forward through this”. 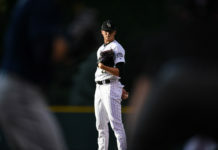 Bettis was the Rockies’ go-to pitcher last season, as he led the team in innings pitched with 186, as well as winning his last nine starts at Coors Field after June 9. 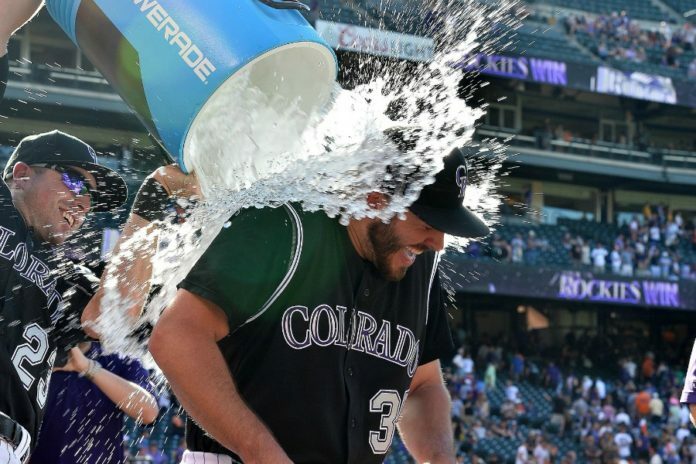 Listen to the full interview with Chad Bettis, including his thoughts on being on the road with his teammates, in the podcast below.